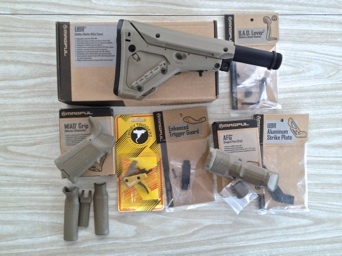 Build Details Of An AR15 – SPIKE’S Tactical Stripped Zombie Lower And A SPIKE’S 16” LE M4 Complete Upper With Rail System, All custom coated in OD Green and outfitted with custom MagPul FDE furniture and UBR Stock. 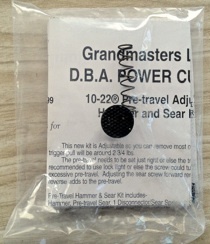 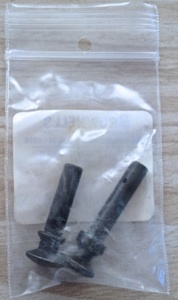 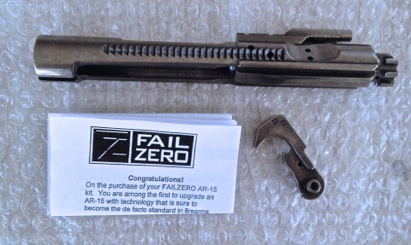 Fail Zero complete bolt group – nickel boron coated for easy cleaning and reliability. 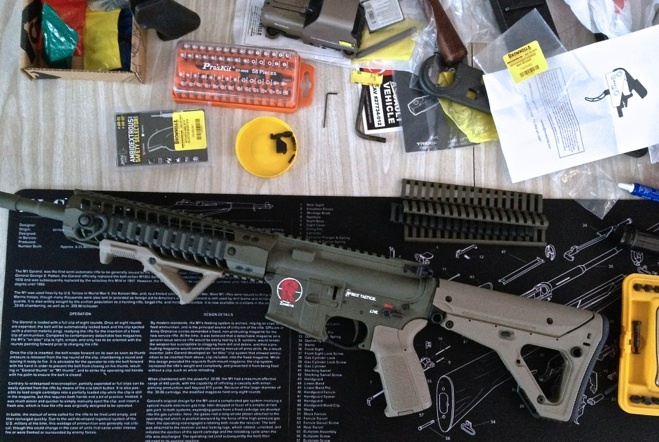 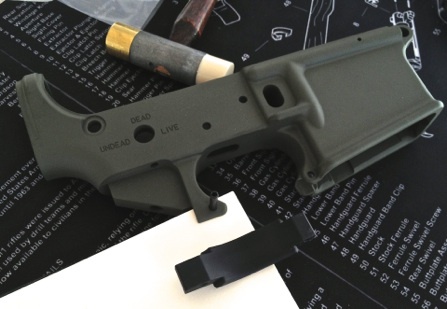 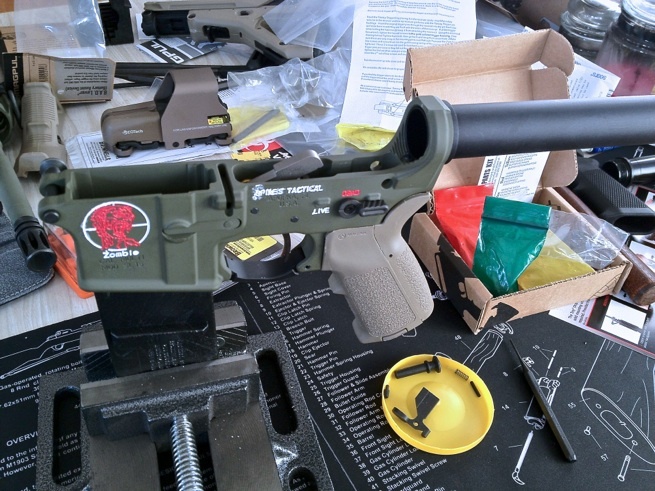 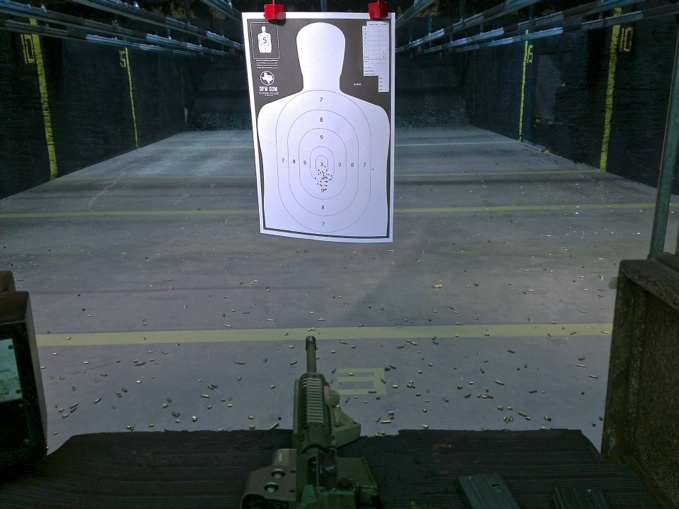 Spike’s lower – Cerakoted in ODG (olive drab green) with a Magpul extended trigger guard getting installed. 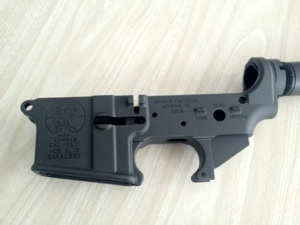 Spike’s Lower with mag release installed along with trigger guard. 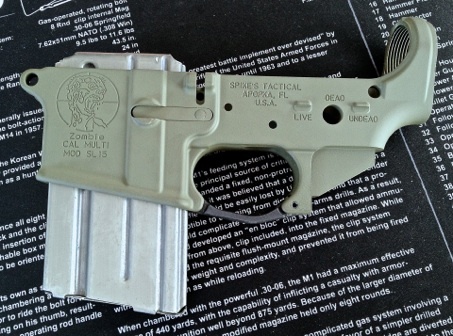 Custom built Spike’s AR15 Fully assembled – function checked and ready for the range or impending Zombie invasion – complete with EOTech holographic sight and an empty Colt AR15 20rnd mag.